Hey guys! Though I’ll show my underground install. It did not go as smooth as I initially planned but seems to work fine. 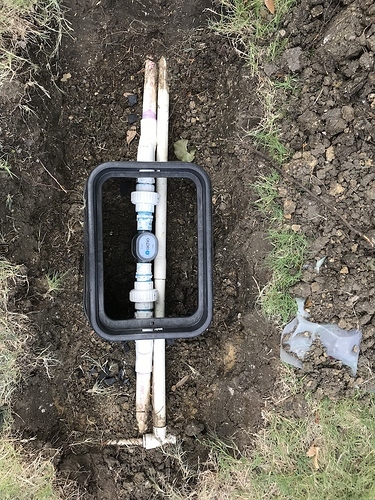 First of all - my pipe turns 90 degrees right after the back flow, and goes under the side walk, so I had to put the flow meter on the other side of the side walk. Then It turned out my main pipe is actually 1-1/4" and it’s buried along with 1" and 1/2" pipes tightly together in a single trench. I initially looked at the Orbit PVC-Lock fittings as underground manual prescribes, but that did not look promising. I ended up rising my 1-1/4" main line a little bit with 45 elbows and using a couple of 1-1/4" unions rated up to 180psi. 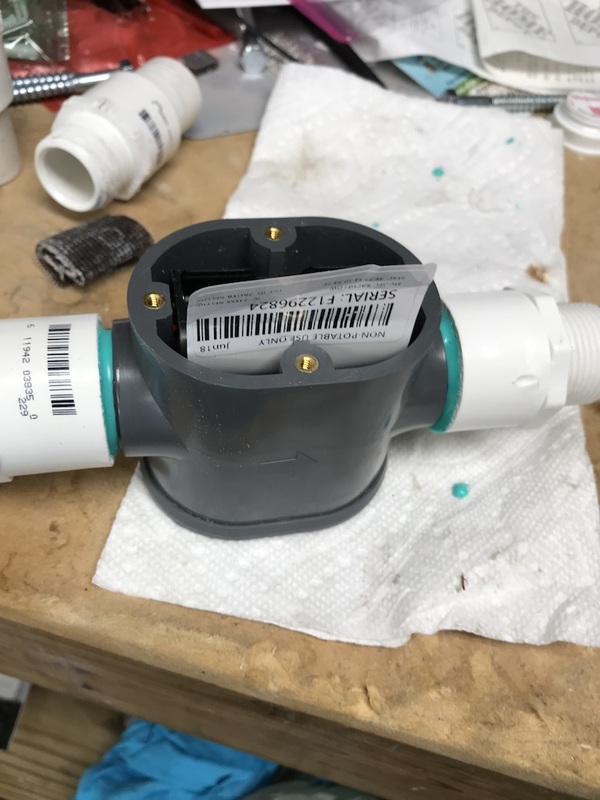 Then threaded 1x1-1/4" adapter and male thread to slip fittings glued to the meter with ABS to PVC transition glue (green stuff). I did let the green glue dry for a full 24 hour period. 1st try failed as I tightened up the unions right after I glued it all and the outflow elbow to the main line blew up during my calibration run right after the 20GPM zone stopped, because of the water hammer I guess. You can kinda see that 1st attempt on the picture #3 - outflow elbow ended up crooked. 2nd try went smoother and It appears like everything is holding just fine. I can access the battery compartment by releasing the unions. Picture #1 shows how it currently looks like. 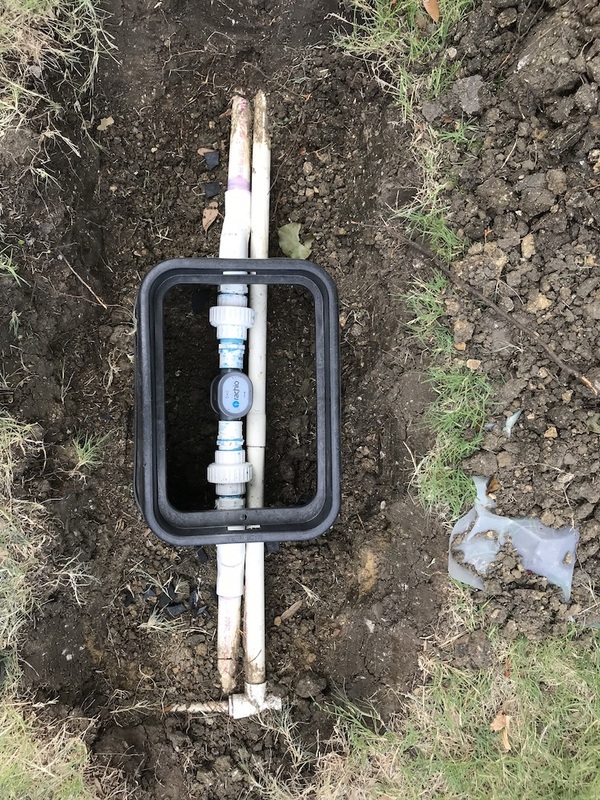 Thanks for sharing, that’s a great looking underground install! Just a heads-up. I want a cleaner install than the recommend Orbit fittings as well, so I was researching cement and I’m worried that the green stuff used here isn’t recommended. The info I found indicates that it should only be used for non-pressurized fittings, like waste lines and vents. I think the “All Purpose Cement” is the correct material. Just wanted to let you know. My guess is that is because ABS itself is used for non-pressure rated pipes. It’s holding up just fine (I did sand the meter and inside of the fitting, used purple primer on the fitting and clear cleaner on the meter). Green stuff actually melts ABS and bonds real well. If in doubt - get a piece of black ABS pipe, glue the fitting on and they try to pull it apart. Okay, glad to know you tested. I would definitely update here if it blows apart. I have about 92psi of pressure and 20GPM zone that creates a nice water hammer when it stops, so far so good. 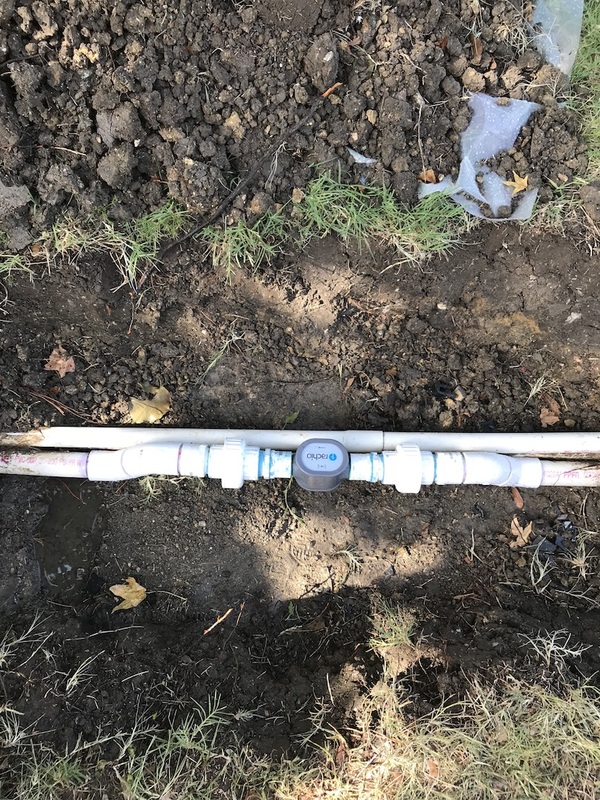 Really wish Rachio just came out with threaded version of the meter instead of the slip joints, kinda like irrigation valve body. Or maybe even an integrated union connection. Looks good, and on the Water Hammer issue, did you see the option in the App to deal with that and it opens up the next zone I think 10 seconds before other one closes? Oh, good point, I have seen the option, but never got to actually test it. Thanks!